* This product is priced in Euro (EUR), AUD rates can fluctuate depending on exchange rates, final rates in AUD will be confirmed by your consultant at time of booking. Belmond’s exceptional Grand Tour package gives you total flexibility. Spend a couple of days exploring Venice or Florence before escaping to the Amalfi Coast, or relax for four days in sunny Mallorca and spend three on gorgeous Madeira. You can even make a real adventure of it and stay one night in seven different fabulous hotels. Get ready for the experience of a lifetime. 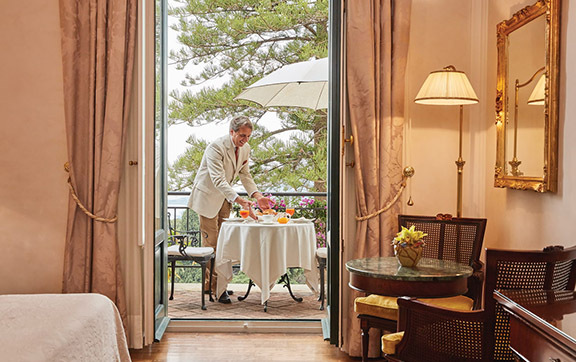 Stay at Belmond Reid’s Palace and you will be welcomed with an automatic room upgrade. *Rates include full American breakfast and best available room on arrival. Rates do not include 10% VAT (except in Madeira where VAT is included), city tax, activities during your stay and transportation between hotels. 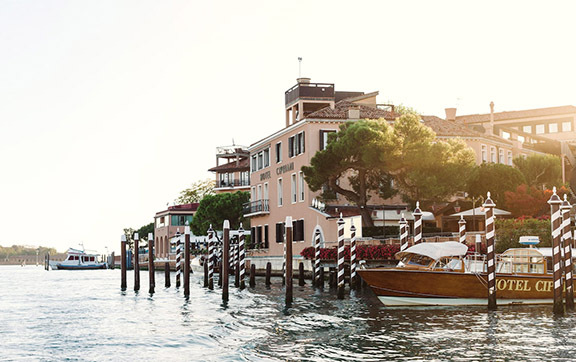 Check in to one of the premier luxury hotels in Venice for mesmerising lagoon vistas, or select the adjoining 15th-century Palazzo Vendramin. 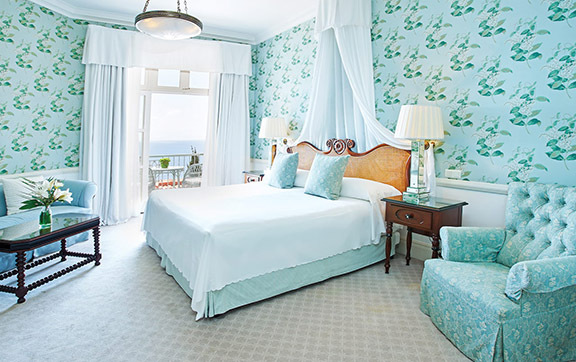 Rooms are light and fresh, combining Venetian elegance with modern glamour. Recline on king sized beds, then unwind in a marble bathroom fit for royalty. All suites boast private balconies or terraces to coax you outside. Start your day here over a Venetian breakfast––the views will never leave you. Set into the cliff edge, over tiered groves of lemons and olive vines, Belmond Hotel Caruso seems to float above the ocean. Rooms make the best of the view, with balconies overlooking the sparkling sea. 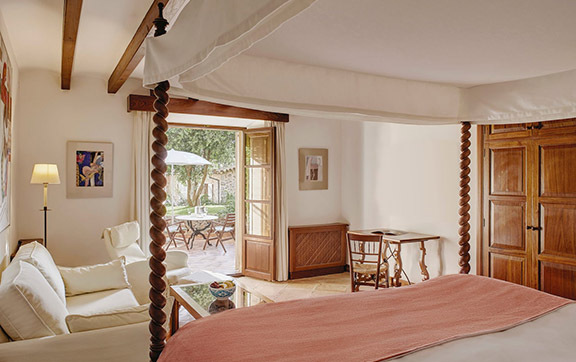 Interiors also enchant: airy and elegant, with hand-picked antique furniture and four-poster beds. Every room and suite in this ancient palace is unique, so keep an eye out for intriguing historical details. The spirit of the Renaissance sings in every detail of this exquisite hotel. 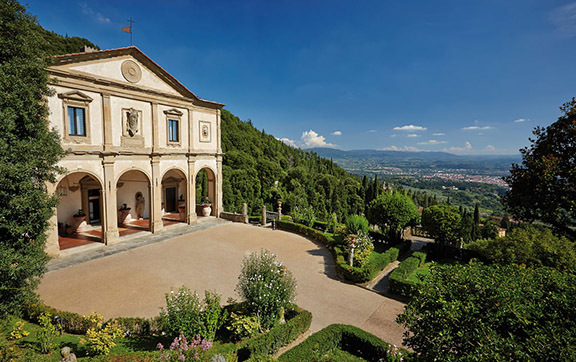 For Tuscany accommodation with breathtaking views over Florence, Belmond Villa San Michele can’t be beaten. From sumptuous Double Rooms to indulgent Suites, all spaces are uniquely crafted with total relaxation in mind. Bask in the sun and soak up the views at these idyllic Portofino, Italy hotels, long associated with the Dolce Vita. 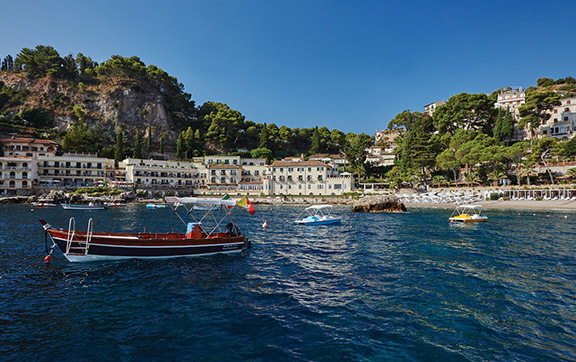 Pick from 16 chic rooms at intimate Belmond Splendido Mare. 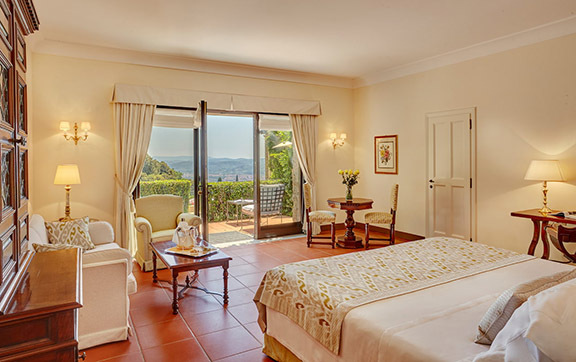 The Ava Gardner Suite has the largest terrace in the hotel, with a potted lemon tree and brightly-coloured Mediterranean flowers. 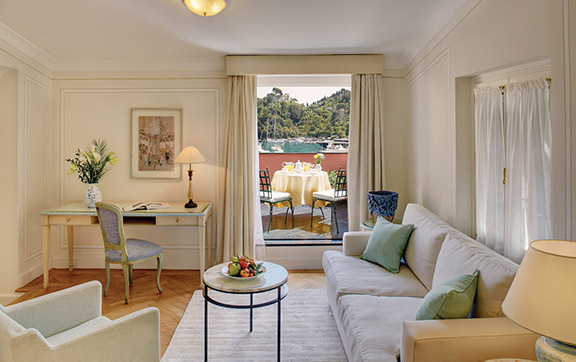 Enjoy the artistic flourishes in the rooms of larger Belmond Hotel Splendido, or lose yourself in the heavenly private garden of the Dolce Vita Suite. 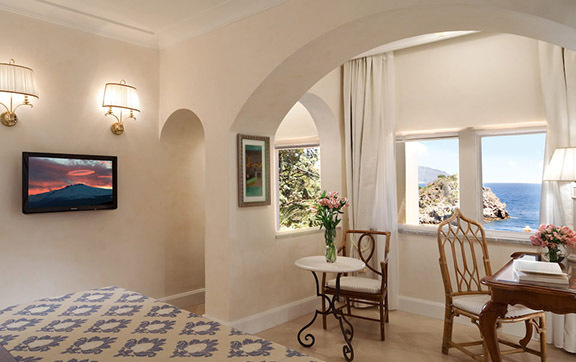 Teetering on the Sicilian clifftops, Belmond’s world-renowned Taormina accommodation comprises spacious suites and bedrooms split between the main building and the adjacent Villa Flora. Most sport a hypnotic view––over the clustered terracotta rooftops of the medieval town, and beyond to the headlands brushing the Ionian Sea. 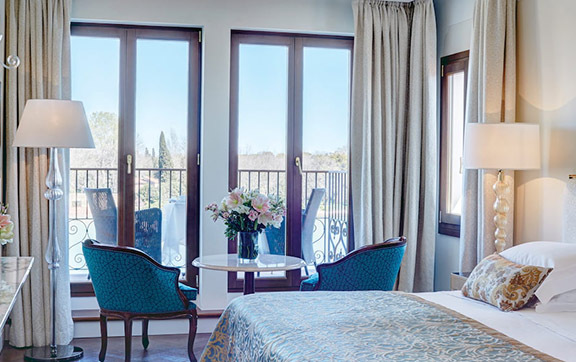 For something unforgettable, the Presidential Suite features two king size bedrooms and a sprawling terrace, jacuzzi and panoramas of Mount Etna’s noble peak. Located on the scenic Bay of Mazzarò, every stay at this private beach resort offers guaranteed serenity. Recline in your own personal haven complete with king size bed, plush fabrics and fine artwork. Revitalise in the indulgent en suite marble bathrooms. Balconies and terraces boast mesmerising views of the ocean or sub-tropical gardens. Order room service, stay inside, and revel in the luxury. For those wondering where to stay in Madeira, this historic gem is the pick of the crop. Suites are named after George Bernard Shaw, who learnt to tango here, and Winston Churchill, who came to write his memoirs. Step out onto your balcony or patio for an intimate dinner beneath indigo skies. Linger over lagoon views or vistas of Funchal harbour from sumptuous surrounds. 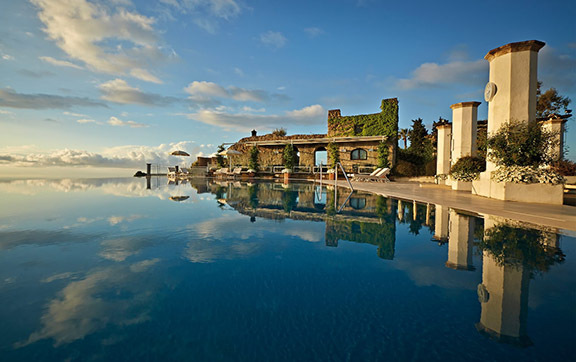 Belmond Reid’s Palace is perfection in the Portuguese archipelago. Welcome to a place where such timeless qualities as elegance, courtesy and charm become more than mere fantasy. 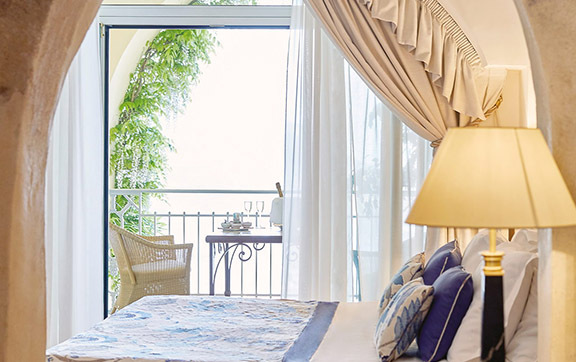 Set on a cliff edge 1,000ft above sea level, Belmond Hotel Caruso is your private balcony over the Amalfi Coast. This former 11th-century palace boasts all the worldly luxuries anyone could desire. Marbled hallways lead to rooms brimming with antiques and paintings by old masters. Cascading down the mountain, past lemon groves and olive vines, is Ravello, the mesmerising ‘city of music’. Paradise, found. Nestled in the Fiesole hills, this former medieval monastery perfectly captures the romance of Florence. Blending 14th-century artistry with the region’s ethereal beauty, Belmond Villa San Michele is as inspiring as the city’s greatest cathedrals and galleries. Our facade, attributed to Michelangelo, is hugged by lush woodland and terraced gardens. Step outside and gaze down across Florence and to the Chianti hills beyond. 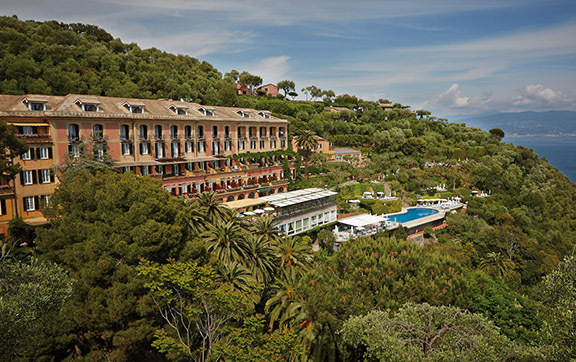 From stars above a moonlit ocean to swaying palms in the gardens, live la dolce vita in Portofino. 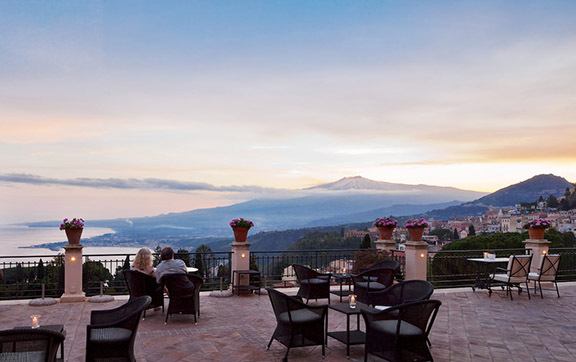 Set in the heart of Taormina, Belmond Grand Hotel Timeo serves up views that have enchanted for more than a century. Enchanting guests since the 50s, a stay in our beach residence is like reuniting with long lost friends. We preserve the personality of an elegant home. Be greeted with freshly-made lemonade on arrival, and find hand-picked local fruit at breakfast. Balconies are bejewelled with bright geraniums, and terraced gardens lead down to our picturesque pebbled beach. Sink into a world of calm, as soothing as the sound of the ocean. 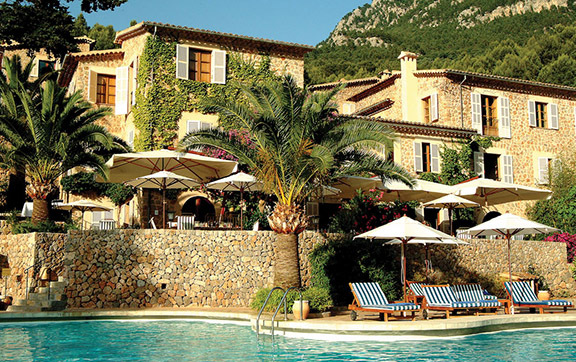 Perched beside the pretty village of Deià, step inside and experience the creative soul of Mallorca. Step through our doors and into a world of timeless elegance on the breathtaking ‘Island of Eternal Spring’. 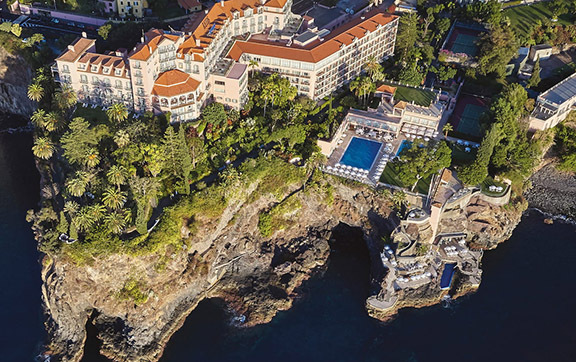 Surrounded by lush subtropical gardens, Belmond Reid’s Palace perches above picture-perfect Funchal Harbour. Having welcomed guests for more than a century, we’ve perfected the art of indulgence. Anticipate gorgeous panoramic views, innovative cuisine and the superb service of a bygone era—you may never want to leave.